Every wondered how your E61 Group Head works? The vulnerable E61 Group Head has been in service since 1961 first seen in the original Faema E61 Espresso machine . 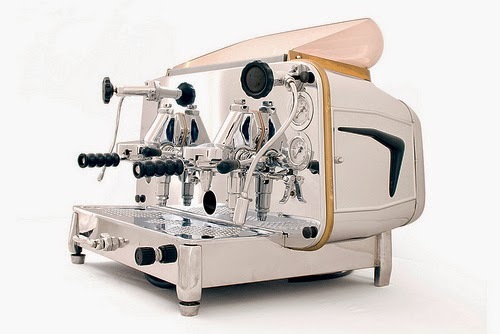 A derivative of the original patented design are still used today by most of the large espresso machine manufactures. Weighing around 4kg and made of of nickel plated solid brass, it was and still is renowned for it’s fantastic even thermal qualities, partly due to its thermal mass, but more so to its patented thermosyphon head heating, a movement of heated water purely driven by hot water cooling slightly along its journey – thus creating a free and continuous circulation of hot water through the group head, much like the circulation of heated air cooling and falling in a room, only to be reheated again and rising. Still today a lot of espresso machines use the manual original version of this group head. A manual leaver drives a cam providing three different positions of valves. The length of the pre infusion and high pressure extraction is up to you, opinions vary on what the correct timing for each is. In a push button society where ease of use and digital timing take the guess work out of the extraction, the 3 way cam has been replaced with a simple of / on solenoid of course thus removing the important manual pre infusion step. Different manufactures have different way to get around this, some pulse the pump for a second, stop, and restart to pre infuse, others have stepped pressure building to achieve the same result, or its ignored all together. 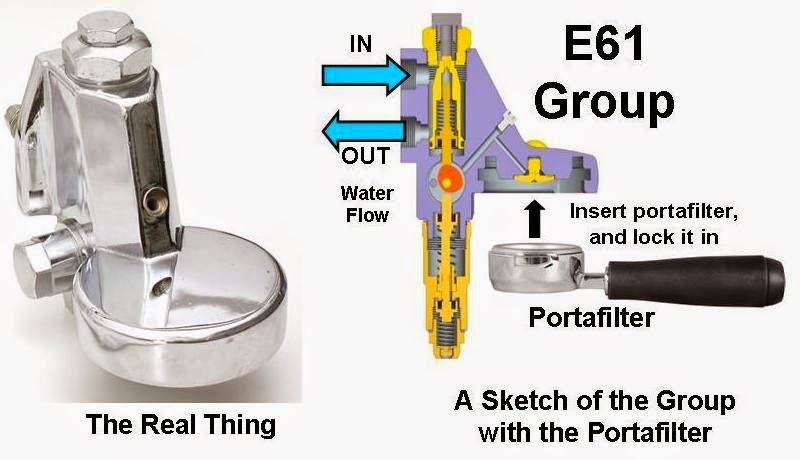 The important point here is that all still rely on a basic design concept devised in the 1960’s by Carlo Ernesto Valente – the venerable E61 Group Head. The video below beautifully shows the inner workings. What a great piece of engineering – those crafty Italians.